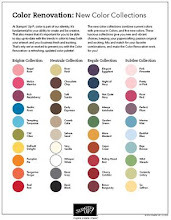 Have I told you how much I LOVE the Watercolor Wonder Designer Series Paper available in the Stampin' Up! Occasions Catalog? 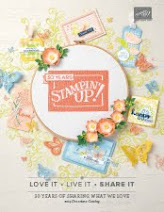 Well, if I haven't, I LOVE the Watercolor Wonder Designer Series Paper available in the Stampin' Up! Occasions Catalog! This card is just one of the many reasons why. This is yet another card "That Michelle" shared with us. I LOVE our play dates as much as I LOVE the Watercolor Wonder Designer Series Paper. With all the LOVE I have, you sure can tell Valentines Day is just around the corner. Along with the wonderful Designer Series Paper we used the sentiment from the Simply Sketched Exclusive Hostess Stamp Set and the Happy Watercolor Stamp Set. Then we just accessorized with some Pearl Jewels. 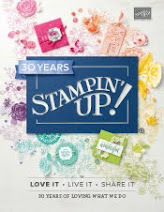 Now is the perfect time to hostess a workshop because along with all of the usual awesome hostess benefits, like earning the Simply Sketched Stamp Set, with a workshop totaling a minimum of $300 before shipping and tax, you get an additional $30 in hostess benefits. 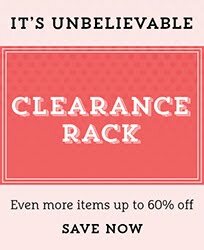 That means your choice of $80 in FREE Stampin' Up! merchandise! I do have workshop dates available in March. Just contact me to schedule your workshop!